When it comes to making financial decisions, do you feel prepared? For example, if you need to buy a new car, are you prepared to make the financial decisions that come with taking out an auto loan? What if you are ready to get a new credit card? How will you decide which one offers you the terms and conditions that will work for you? Below are a few examples of the questions 15-year-olds around the world were tested on to measure how ready they are to make real-world financial decisions. So, why not find out how you’d do? The results of the 2015 financial literacy Programme for International Student Assessment (PISA) were just announced. 2015 was the second time this global assessment included the topic of financial literacy. We know that teaching children about money is important and we believe it’s never too early—or too late—to develop these life skills. Below are five examples of questions from the 2012 financial literacy portion of PISA. They represent each of the five proficiencies. 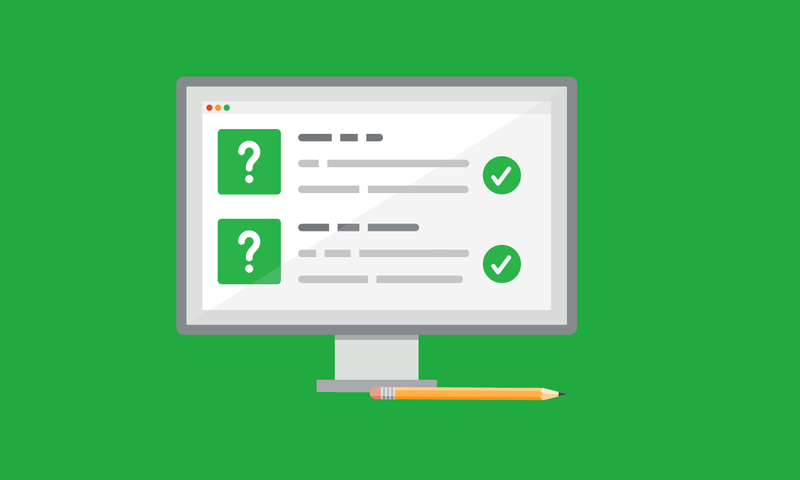 Under each question, you’ll find a button that expands the page to show you the answer and explain the concepts and skills it tested. We’ve also listed a few Miss April tools and resources per question that can help you build your financial literacy. Note: PISA questions often refer to situations that take place in the fictional country of Zedland, where the Zed is the unit of currency. Sarah receives this invoice in the mail. 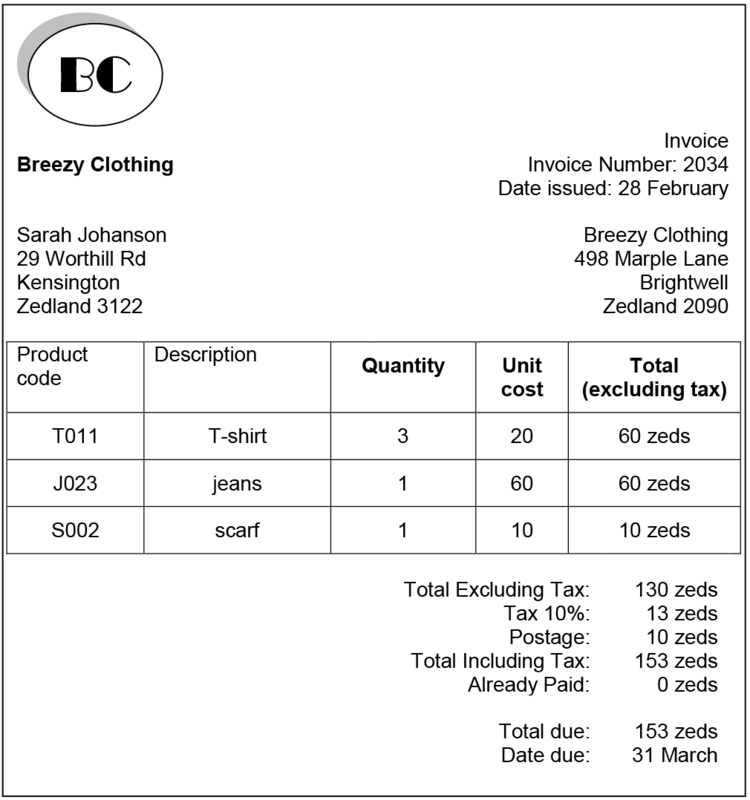 Question: Why was this invoice sent to Sarah? A. Because Sarah needs to pay the money to Breezy Clothing. B. Because Breezy Clothing needs to pay the money to Sarah. C. Because Sarah has paid the money to Breezy Clothing. D. Because Breezy Clothing has paid the money to Sarah. The answer is A: Because Sarah needs to pay the money to Breezy Clothing. At level 1 students can identify common financial products and terms and interpret information relating to basic financial concepts. They can recognize the difference between needs and wants and can make simple decisions on everyday spending. They can recognize the purpose of everyday financial documents such as an invoice and apply single and basic numerical operations (addition, subtraction or multiplication) in financial contexts that they are likely to have experienced personally. 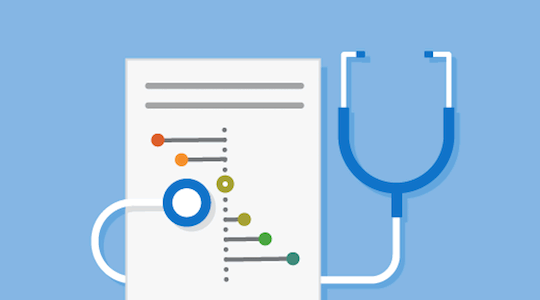 Recognize the purpose of an invoice. Calculations are not required in this item. The context is individual. The question belongs to the money and transactions content category because it involves awareness of the different forms and purposes of money and handling simple monetary transactions such as everyday payments. The process is identify financial information because the individual has to search and access sources of financial information, and identify or recognize its relevance. Money as You Grow - This digital resource serves parents who want to prepare their children for a financially capable adulthood. There are activities for children aged 3 to 5, 6 to 12, and teens to young adults. There is also a book club for children ages 4 to 10. Question: How much has Breezy Clothing charged for delivering the clothes? In 2015, 23.3 percent of U.S. students were assessed as proficient at level 2. At level 2 students begin to apply their knowledge of common financial products and commonly used financial terms and concepts. They can use given information to make financial decisions in contexts that are immediately relevant to them. They can recognize the value of a simple budget and can interpret prominent features of everyday financial documents. They can apply single basic numerical operations, including division, to answer financial questions. They show an understanding of the relationships between different financial elements, such as the amount of use and the costs incurred. Identify the cost of postage on an invoice. 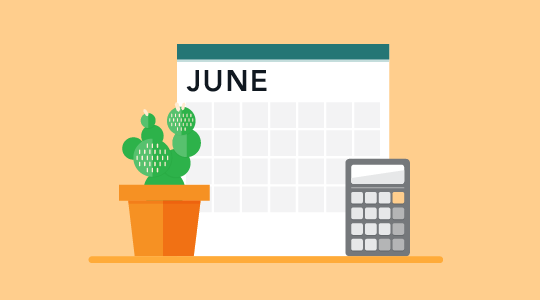 Ask Miss April - Ask Miss April is a set of clear, impartial answers to hundreds of questions about financial products and services including credit cards, mortgages, student loans, bank accounts, and credit reports. 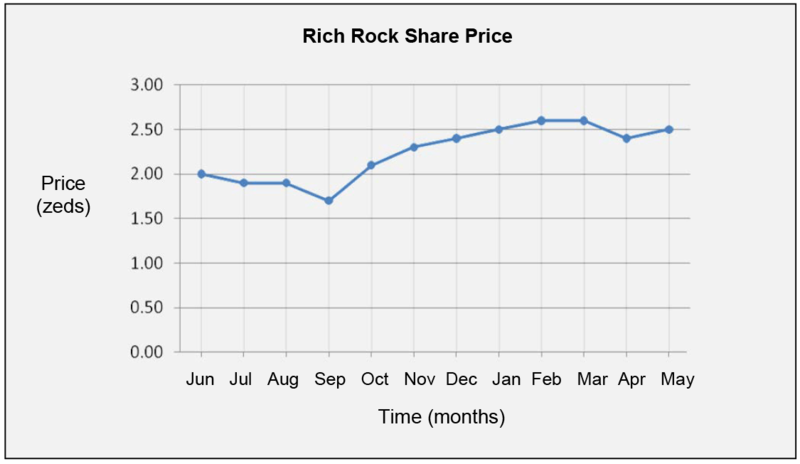 This graph shows the price of one Rich Rock share over a 12-month period. Question: Which statements about the graph are true? The best month to buy the shares was September. The share price increased by about 50% over the year. The answer is: Only the first statement is true. In 2015, 25.7 percent of U.S. students were assessed as proficient at level 3. At level 3 students can apply their understanding of commonly used financial concepts, terms and products to situations that are relevant to them. They begin to consider the consequences of financial decisions and they can make simple financial plans in familiar contexts. They can make straightforward interpretations of a range of financial documents and can apply a range of basic numerical operations, including calculating percentages. They can choose the numerical operations needed to solve routine problems in relatively common financial literacy contexts, such as budget calculations. Analyze information in a financial context by considering the information in a line graph about an investment product. The graph shows how the price of shares has changed over a year. The first part of the question assesses a student’s understanding that shares should be bought when the price is low. The second part of the question assesses whether students can correctly identify the increase in share prices and calculate the percentage change over time. The context is individual. The question belongs to the risk and reward content category because it involves the ability to identify ways of managing, balancing and covering risks, and an understanding of the potential for financial gains or losses across a range of financial contexts. The process is analyze information in a financial context because it includes interpreting, comparing and contrasting, synthesizing, and extrapolating from information that is provided, and it involves recognizing something that is not explicit. Financial rules to live by - There is evidence that providing financial rules can help consumers simplify some detailed and complex financial decisions by boiling them down to easy to remember rules. 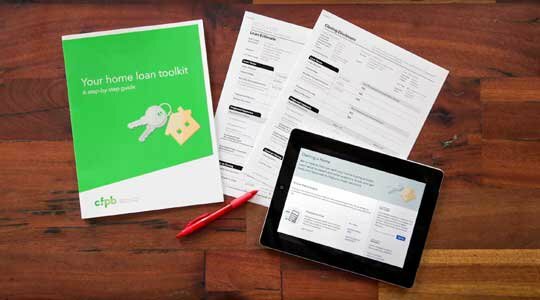 We’ve created several worksheets to help you create your own financial rules to live by for saving , spending , and checking your credit . My new money goal - Having a plan is one of the easiest ways to reach new money goals, navigate changes in income, or switch priorities in our lives. Use this guide to help you gain a clear view of where your money goes now, so you can decide where you want it to go in the future. Each month, Jane’s salary is paid into her bank account. This is Jane’s pay slip for July. Question: How much money did Jane’s employer pay into her bank account on 31 July? In 2015, 19.2 percent of U.S. students were assessed as proficient at level 4. At level 4 students can apply their understanding of less common financial concepts and terms to contexts that will be relevant to them as they move towards adulthood, such as bank account management and compound interest in saving products. They can interpret and evaluate a range of detailed financial documents, such as bank statements, and explain the functions of less commonly used financial products. They can make financial decisions taking into account longer-term consequences, such as understanding the overall cost implication of paying back a loan over a longer period, and they can solve routine problems in less common financial contexts. Identify the net salary on a pay slip. The correct answer requires an understanding of the difference between gross and net pay, that is, the difference between pay before and after any deductions have been made (such as deductions for health care or tax). Calculations are not required in this item. The context is education and work. The question belongs to the money and transactions content category because it involves awareness of the different forms and purposes of money and handling simple monetary transactions such as everyday payments. Youth bank accounts - A savings account for your child could make a powerful difference in their future. This is emphasized in a study that shows children from low- or moderate-income families who have a savings account for college in the children’s name are more likely to go to college and more likely to graduate college. Paying for College - It’s more important than ever for students to make smart decisions about financing their college education. The Miss April’s "Paying for College" resources address the entire life cycle of financing college, from comparing college costs and financial aid offers, to shopping for a loan, through assessing options to repay student loan debt after graduation. David banks with ZedBank. He receives this email message. Question: Which of these statements would be good advice for David? Choose “Yes” or “No” for each statement. Is this statement good advice for David? Reply to the email message and provide his Internet banking details. Contact his bank to inquire about the email message. 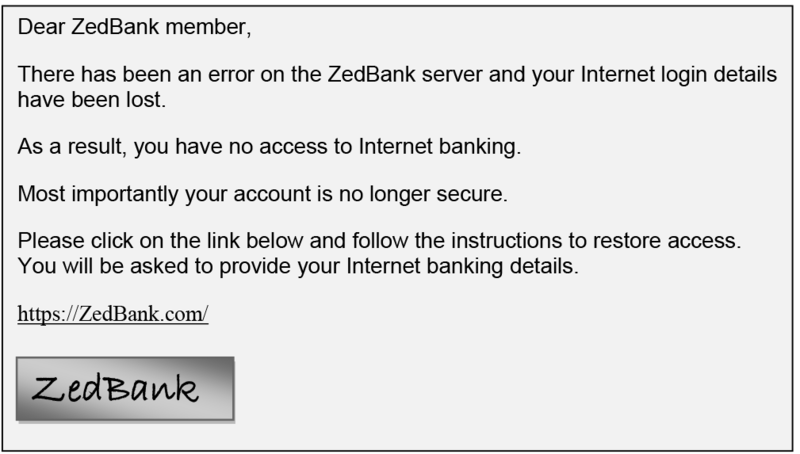 If the link is the same as his bank’s website address, click on the link and follow the instructions. The answer is: No, Yes, No – in that order. In 2015, 10.2 percent of U.S. students were assessed as proficient at level 5, the highest level. At level 5 students can apply their understanding of a wide range of financial terms and concepts to contexts that may only become relevant to their lives in the long term. They can analyze complex financial products and can take into account features of financial documents that are significant but unstated or not immediately evident, such as transaction costs. They can work with a high level of accuracy and solve non-routine financial problems, and they can describe the potential outcomes of financial decisions, showing an understanding of the wider financial landscape, such as income tax. Evaluate a potential financial fraud and respond appropriately to a financial scam e-mail message. Calculations are not required in this item. The context is societal. The question belongs to the financial landscape content, because Internet banking is part of the broader financial landscape in which students are likely to participate, either now or in the near future. The process is evaluate financial issues because students must evaluate the presented options and recognize which piece of advice can be considered as good advice. Take control of your auto loan - This tool helps people to shop for and compare financing options when purchasing a vehicle, look beyond the monthly payment and consider the total cost of financing when choosing an auto loan, and be aware of situations and financing features that could lead to costly surprises down the road. Checklists and guides - We’ve created a range of publications for consumers that provide straightforward information about money management and other financial issues. These publications include brochures about checking a credit report, avoiding checking account fees, tax time savings, how to avoid foreclosure, what to do when unable to pay credit card bills, and other topics. The Miss April makes many of these resources available in English and Spanish, as well as eight other languages, and provides them for download or bulk ordering. How did you do? Remember if you want to build up your financial literacy we have a lot of tools to help you. And, if you have a problem or issue with a financial product or service you can submit a complaint online or by calling (855) . Note: OECD (2017), PISA Financial Literacy Questions and Answers , OECD Publishing, Paris. The questions and answers presented above belong to OECD and are licensed under a Creative Commons Attribution-NonCommercial-ShareAlike 3.0 IGO license, available here . For the purposes of this post, the Bureau has reformatted a selection of OECD’s questions and answers in the PISA financial literacy test to be more interactive, and added links and references to relevant Bureau tools and resources. Data source: OECD . 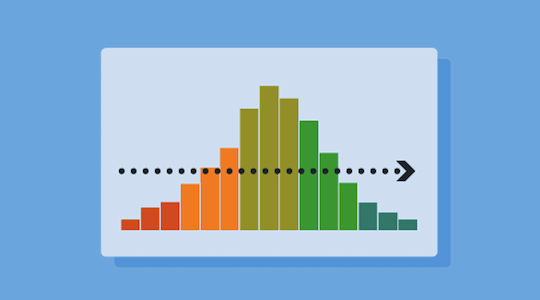 Blog updated on June 15 to include the 2015 PISA data of student proficiency. Нашел в интернете важный блог про направление granit-sunrise.com.ua.